You need to use Google authorization to login and use the Free YouTube RSS Xtreme SEO tool, then you will be asked to verify your email. You need to be logged into your Google account to use the Feedburner part of the tool too. For this to work more effectively try and use the same google account as your YouTube channel. 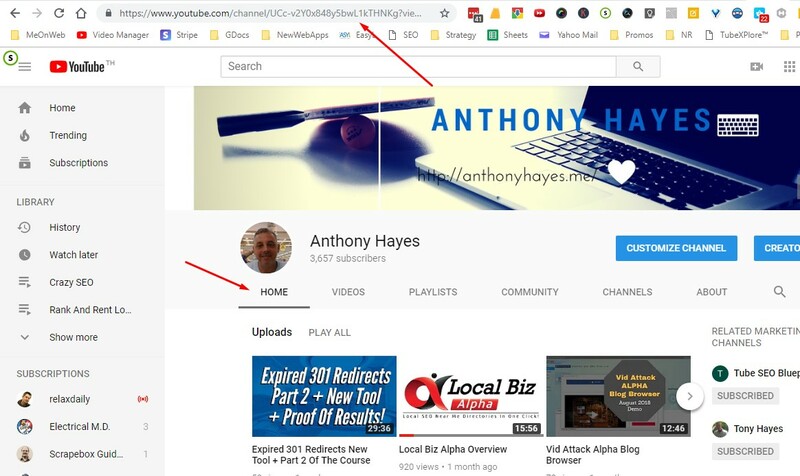 Go to your YouTube channel home page to find the Channel ID after the the channel/ in the url like you can see here on My YouTube channel in the screenshot below. You should see details of your channel, latest videos and the video description in the feed like shown below in the screenshot. 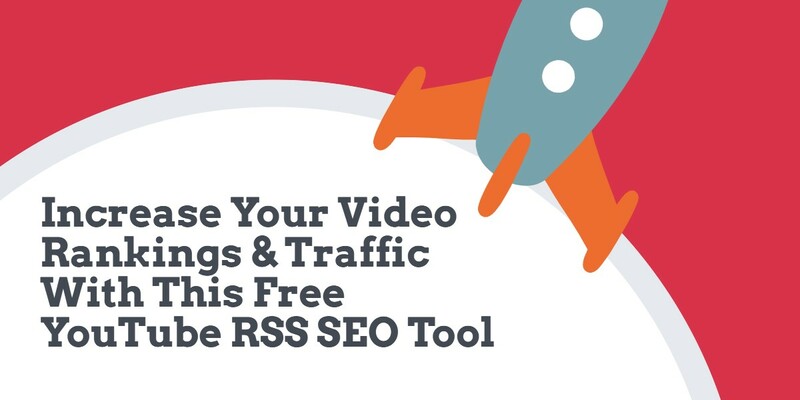 Feel free to use this free YouTube SEO tool as many times as you like! It Takes Less Than 30 Seconds By Using The Click To Tweet Button Below! 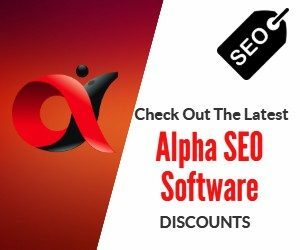 If you would like to have your own copy of this tool you can purchase it and offer as a Free SEO tool for your own site visitors. Check Out The Sidebar Under Premium WordPress Plugins For More Details. This tool helps you to bring traffic back to your site and build your email list at the same time. 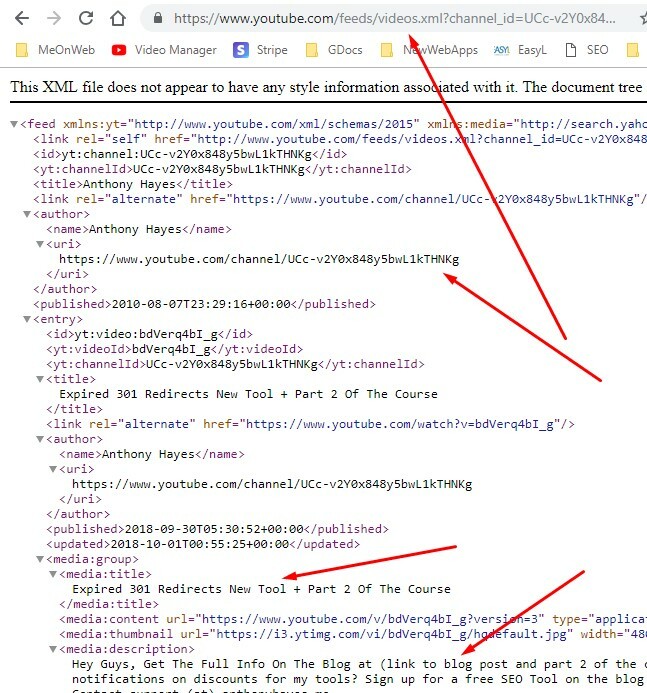 From time to time YouTube may change something with their API, and if for any reason the YouTube RSS Xtreme tool stops working, please connect with us on support immediately and we can usually get this fixed within a few hours. The support desk can be found from the contact button on the top menu bar.